After months of waiting, Nokia’s come back flagship is finally here. HMD – the Finnish company licensing the right to produce Nokia phones – unveiled the Nokia 8 during a press event hosted in London. The phone arrives to compete with the likes of the Samsung Galaxy S8 and iPhone 8. 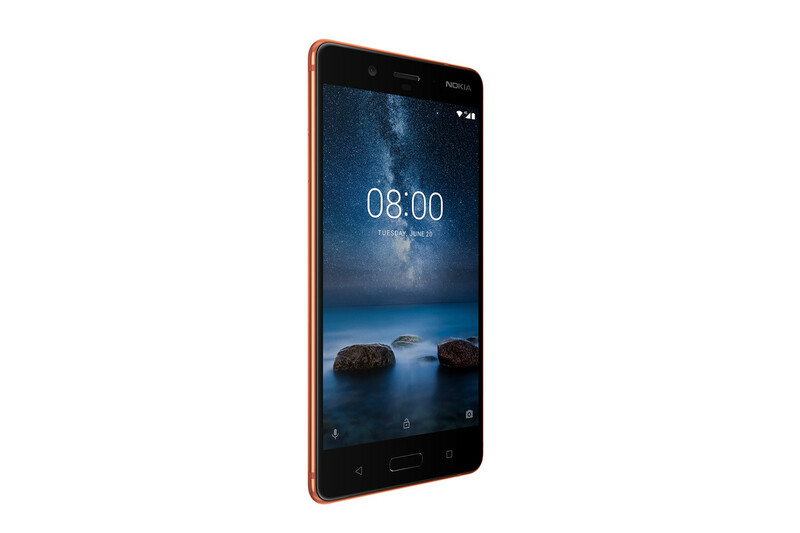 But even if the new smartphone brings similar specifications to other top-end rivals, Nokia has decided to stick with the more classical design. Meaning that the Nokia 8 features consistent bezels thus going against the industry trend of slimming down bezels as much as possible. The 7.9 mm-thick phone packs a 5.3-inch display with 2560 x 1440 resolution and takes advantage of a Snapdragon 835 processor coupled with 4GB of RAM and 64GB of internal storage. The product is made of a single piece of 6000-series aluminum and will be offered in glossy Polished Blue and Polished Copper colors, as well as in matte Tempered Blue and Steel options. Below the display sits a fingerprint scanner and the capacitive navigation buttons, while the 3.5mm headphone jack lives on top and the USB-C port is at the bottom. 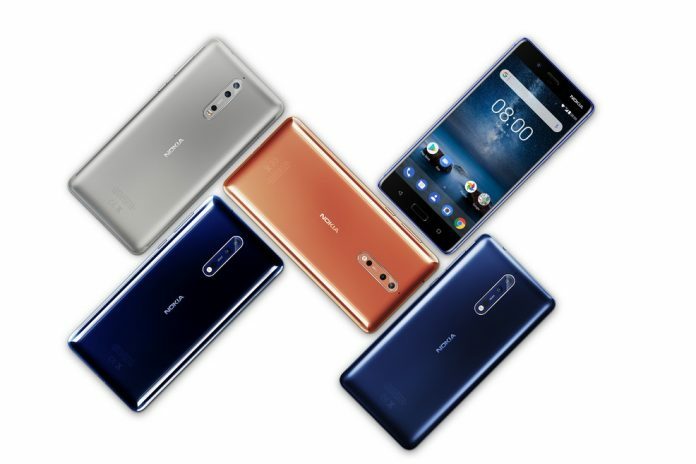 HMD is bringing back the always-on display with the Nokia 8 which shows calls, emails and text messages (and soon social network notifications) on a small section of the display. The device is powered by a non-removable 3,090 mAh battery that can be recharged quickly thanks to Qualcomm’s QuickCharge 3.0 technology on board. It runs a nearly-stock Android 7.1.1 Nougat version and you can be sure it will receive the Android O update soon after Google will make it available. 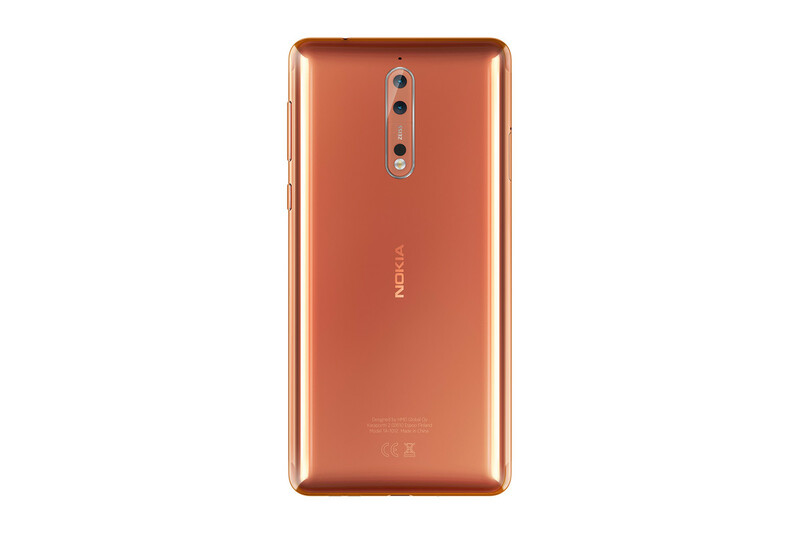 It’s also important to note that the Nokia 8 takes advantage of liquid-cooling technology which at least on paper, should keep it cool under heavy use. Any stand-out features? 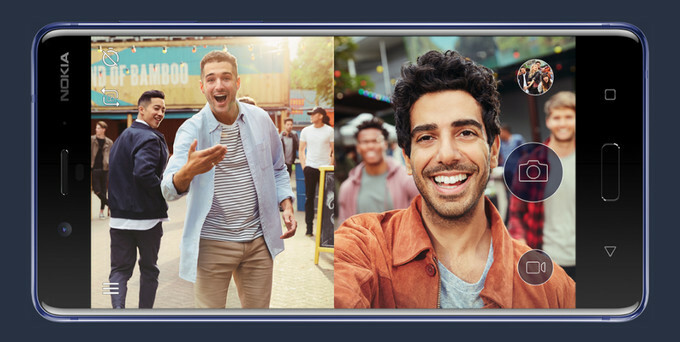 Nokia and HMD are betting on photography and video with the Nokia 8 by introducing the so-called “Bothie” mode (or Dual Sight). 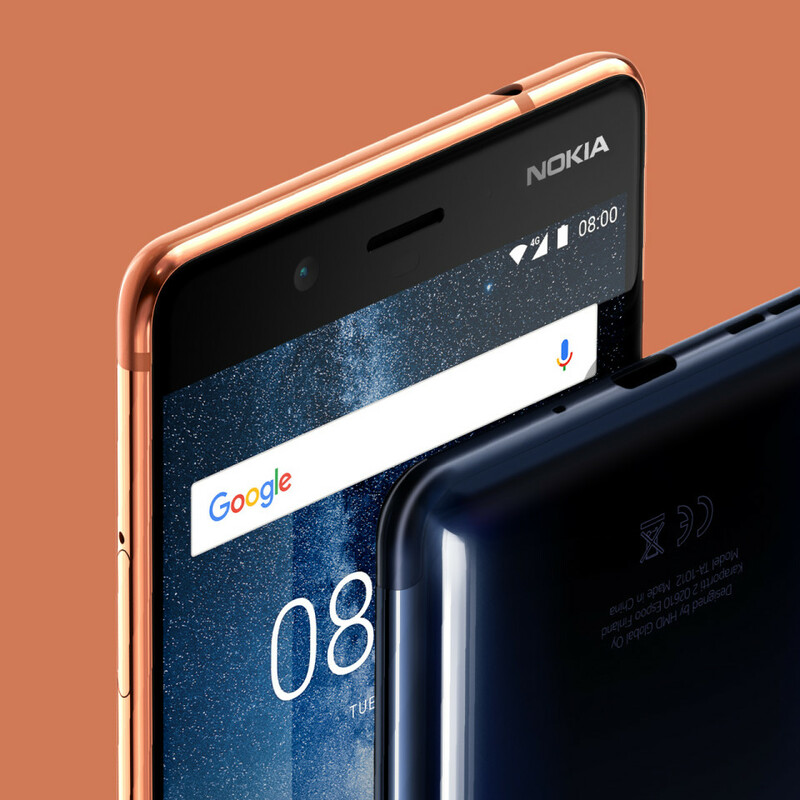 The Nokia 8 is the first Nokia Android handset to come equipped with Carl Zeiss optics on the back and on the front. All sensors are of 13-megapixel variety, with the mention that the primary camera is actually a dual setup offering f/2.0, laser and phase detection autofocus, Carl Zeiss optics, OIS and dual-LED. What about the “Bothie mode”? It will basically activate both the front and back cameras to let you capture photos and videos. The video produced will then broadcasted via Facebook or YouTube natively through the camera interface. 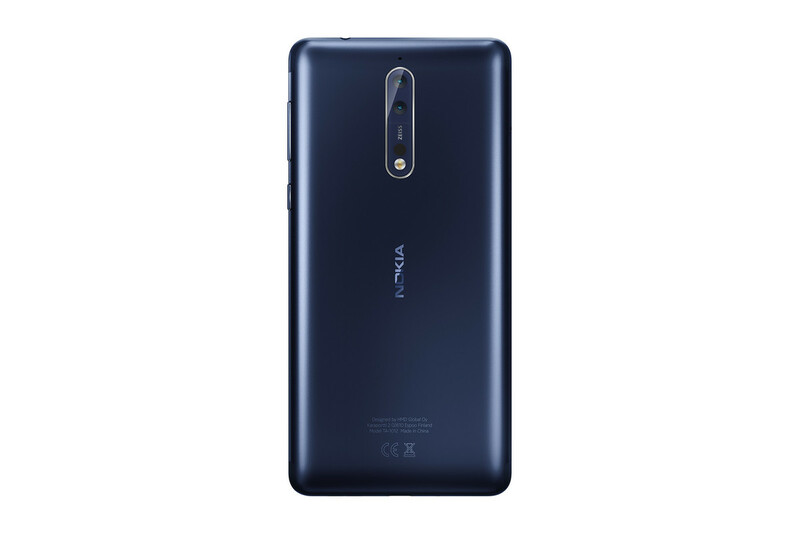 Furthermore, the phone also takes advantage of spatial audio technology, which Nokia previously used in its futuristic camera for filming VR – the OZO. This means that videos shot with the Nokia 8 will capture 360-degree audio. 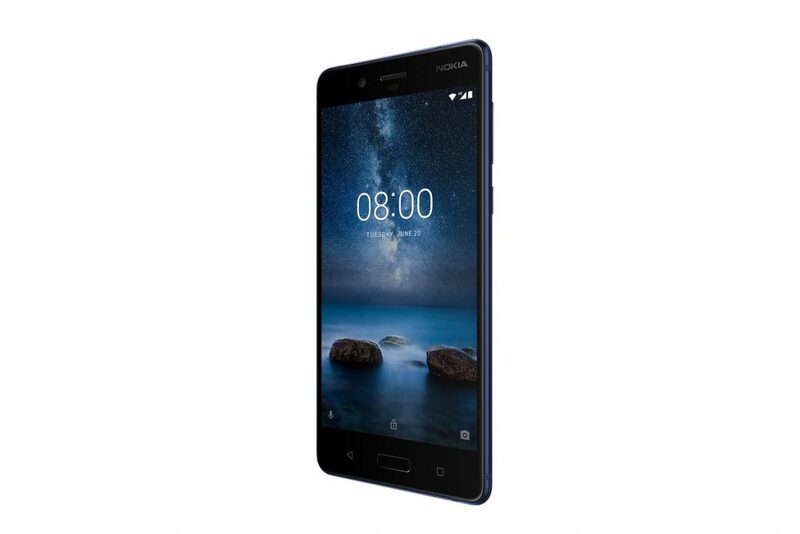 HMD plans to release the Nokia 8 as soon as September in Europe with a price tag of approximately $706. Unfortunately, no details about a potential US launch were shared with the press, but hopefully the new phone will make it across the pond at some point.